Just one week after an increase to the energy price cap was announced, three major power companies have said they would raise prices for customers. 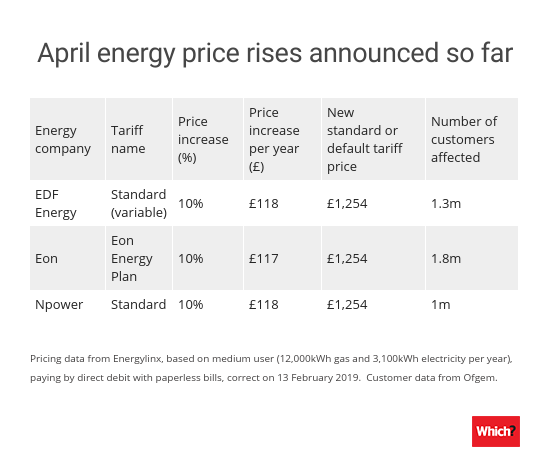 Eon was the first to announce it would up prices to the maximum amount permitted from April, when the level of the price cap on standard and default tariffs changes. Eon announced its price rise just two working days after energy regulator Ofgem confirmed it was raising the cap. 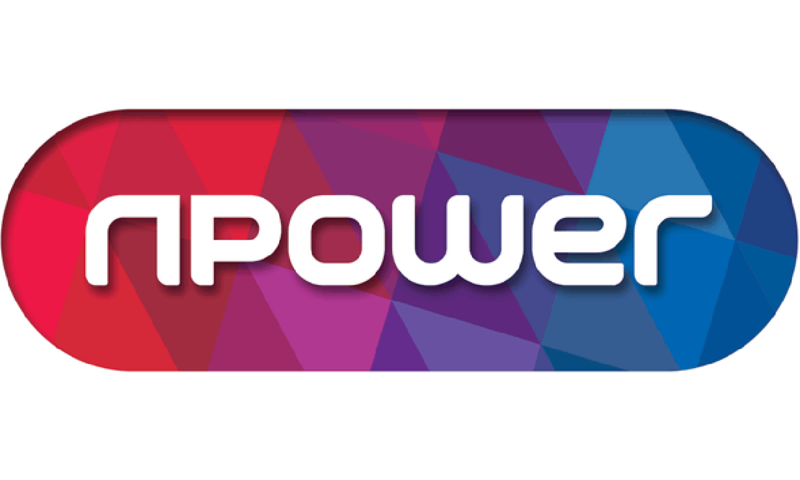 EDF Energy and Npower followed suit within two days. Both will also charge customers who use a medium amount energy £118 more per year than they currently do. From 1 April, energy companies are permitted to charge customers who use a medium amount of gas and electricity £1,254 per year on average. At the moment, they can charge the same customers up to £1,137 per year. Use our independent energy switching site, Which? Switch, to compare gas and electricity prices and find the best deal for you. Will my energy supplier raise prices? So far, we know that the following energy firms plan to increase their prices from 1 April. Here we’ve listed those companies, as well as how much they will charge a medium user. Since companies are now permitted to charge more for their standard or default tariffs, it’s likely that others will follow suit. Ofgem said that it was increasing the cap because ‘underlying energy costs’ had increased. For example, wholesale energy costs are 17% higher than when the cap was originally set. Alex Neill, Which? Managing Director of Home Services, said: ‘This is the third price increase announcement in quick succession, with the rest of the Big Six expected to follow suit. People who thought that the price cap would protect them from rising bills will be bitterly disappointed by these hikes. Read our tips on how to choose the best energy company for you. Customers on standard or default deals with their energy firms currently have their prices capped (and so do customers who have prepayment meters). This effectively sets a maximum on the daily rate and the amount you can be charged per unit of gas and electricity. It’s not a cap on your bill: that still depends on how much you use. Energy regulator Ofgem can adjust the level of the cap every six months. It announced a £117 per year average increase for a medium user, which will apply from 1 April 2019. This means the maximum a medium use customer would be charged is £1,254 on average. 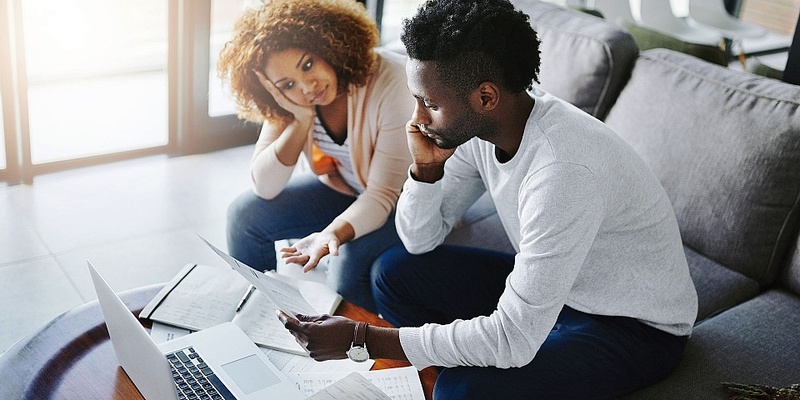 With higher prices set to bite, it’s even more important that you make sure you’re on a good value energy deal. Remain on a tariff which rises to the level of the new price cap and you would overpay by up to £348 per year, in comparison with the cheapest deal currently on sale. Find out how much gas and electricity you use per year in kilowatt hours (kWh) from your online account or annual statement. Use these figures (not averages) to get the most accurate quotes from price comparison websites. Know the name of your tariff(s) so you can compare new prices with them (rather than an average) to get the most accurate savings estimate. Find the names on your latest bill or online account. Compare gas and electricity prices. Price comparison sites no longer have to show every tariff available, so make sure you opt to see the whole market – not just deals the site can switch you to directly. Sometimes you’ll need to contact an energy supplier directly to switch to it. Decide if you want a fixed or variable tariff. One-year fixed tariffs are usually the most competitively priced, while longer fixed tariffs may leave you out of pocket. Variable deals aren’t necessarily expensive, but prices can increase at 30 days’ notice. Consider exit fees if you’re likely to move home, or want to switch before your fixed deal ends. Exit fees can be £60 per fuel; some suppliers charge nothing. Sometimes they’re worth paying if a new tariff will save you more. Paying by monthly direct debit can be cheaper, as can choosing to manage your account online. Paper bills will often add to the cost of your tariff. Once you’ve chosen a supplier, it will start the switch and tell your old supplier that you’re leaving. There’s a 14 day cooling-off period in case you change your mind about switching. After this, it takes 17-18 days on average to switch. But some suppliers promise they will do this faster; those signed up to the Energy Switch Guarantee state 21 days. Read more about how to switch energy supplier. *Online survey of 7,429 members of the GB general public in September 2019.